Y'all. Please tell me you're biscotti lovers like I am. Did you know that they're actually easy...and FUN...to make at home? 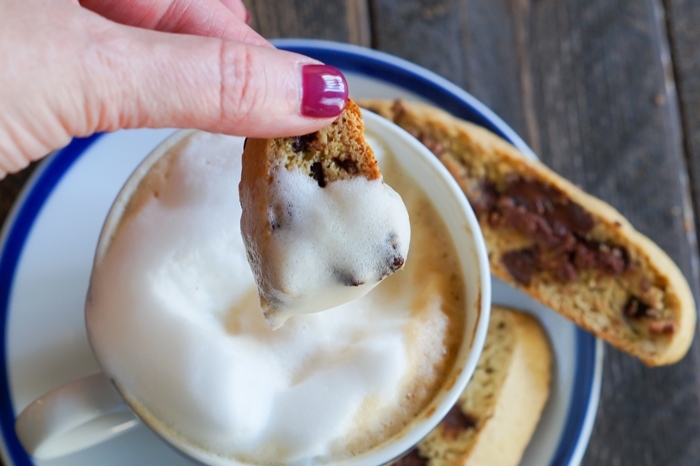 Here are three things I love about biscotti: they're adaptable to just about any flavor combination, they're perfect for breakfast or dessert, and they make fabulous gifts for the holidays (or any day). I'm sharing the how-to's, flavor combination ideas, and a recipe for espresso chip biscotti all over on The Pioneer Woman Food & Friends today. Oh, and I'm also virtually sharing a frothy cappuccino with all of you, too! Come on over to Ree's! Let's make biscotti! I am so certain yours are SPLENDID! Just love their appearance. Cant wait to try them out. 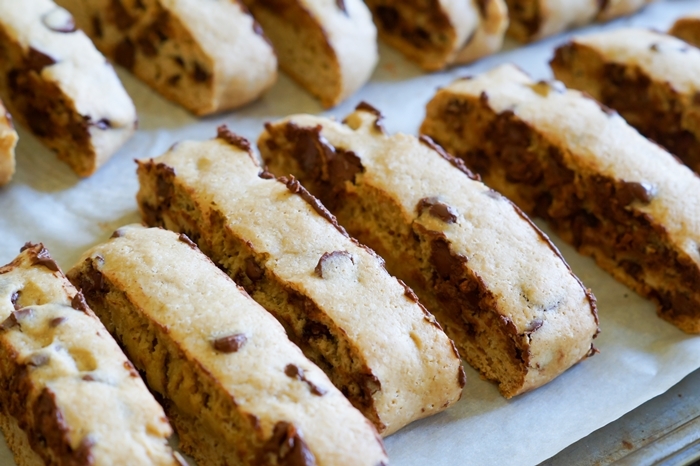 I love biscotti and wish I had some of this now! It looks fabulous, Bridget! Also, I used your favorite kitchen gadget to cut them, dough scraper for the win! Is it possible to reduce the amount of sugar in the recipe without changing the texture of the cookie too much? Hi there! I've only made them this way, so I'm not sure. Feel free to try and report back!